North Korea has said Malaysia is responsible for the death of one of its citizens and is attempting to politicise the return of his body. It does not name Kim Jong-nam, but the KCNA report appears to be state media's first reference to the death of the half-brother of North Korea's leader. Mr Kim died after being poisoned at Kuala Lumpur airport and his body remains in a hospital mortuary. Several North Koreans are wanted in connection with his death. They include a senior official at the North Korean embassy in Kuala Lumpur as well as an employee of the state airline, Air Koryo. Four other North Koreans named earlier in the case are thought to have left Malaysia already, while another North Korean is in detention. Malaysia's police chief Khalid Abu Bakar said on Thursday that he had asked international police agency Interpol to issue an alert for the four. On Wednesday, Malaysian police confirmed that Mr Kim died after two women - also in detention - wiped a toxin on his face while he was waiting for a flight to Macau. It said the attack was "planned" and that the women had been well trained. They have not directly blamed the North Korean state, but said North Koreans were clearly behind it. Mr Kim was once seen as a possible successor to his father, Kim Jong-il, but was bypassed in favour of his younger half brother, Kim Jong-un, and spent many years living abroad. He had been travelling on a passport under the name Kim Chol. 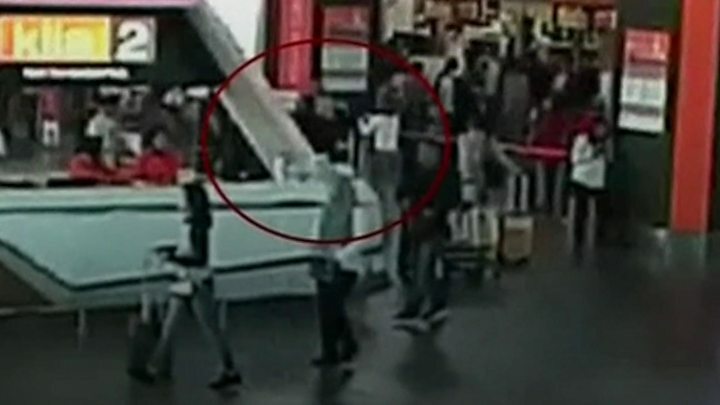 Malaysia says it believes the man was indeed Kim Jong-nam, the estranged half-brother of Kim Jong-un, though it is seeking family DNA samples for official confirmation, a request North Korea called "absurd". KCNA said only that "a citizen of the DPRK [Democratic People's Republic of Korea]" who was travelling on a diplomatic passport had died due to "a heart stroke". It said reports of a poisoning were false and Malaysia was part of an "anti-DPRK conspiratorial racket launched by the South Korean authorities". Conducting a post-mortem on the holder of a diplomatic passport without state permission was "a wanton human rights abuse and an act contrary to human ethics and morality", it said. "The biggest responsibility for his death rests with the government of Malaysia," said the report, and the refusal to hand the body back to North Korean officials "proves that the Malaysian side is going to politicise the transfer of the body in utter disregard of international law and morality and thus attain a sinister purpose".